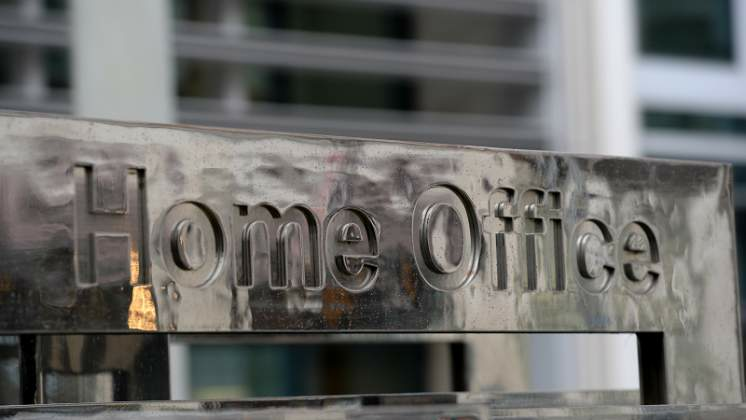 Despite international condemnation of the actions of the police and army under the new president, Emmerson Mnangagwa, two asylum seekers were detained at the Home Office's Vulcan House building on Monday. It is thought that the government is preparing to deport them within days. One of them, Victor Mujakachi, came to the UK as a postgraduate student in 2003. Zimbabwean authorities issued a warrant for his arrest in 2008 after he made critical comments online about the re-election of Mugabe. He subsequently had three applications for asylum turned down. On 28 January at 4pm, the courts also had to grant an "urgent stay of removal" for a Zimbabwean refused asylum who was due to be deported at 5.25pm that evening. The reason given for the decision was the volatile conditions in the country. The applicant claimed to have a profile as an opposition activist and said their family members had been arrested. The judge noted that serious concerns had been expressed by governments around the world, including the UK, about conditions in Zimbabwe. Over the last few months, Zimbabweans across the UK have been asked to attend interviews at Home Office centres. When they attended they found Zimbabwean government officials waiting to interview them. One woman, who has been in the UK six years, said she attended one such interview and was told by a man speaking her native language, Shona, that she was one of thousands of Zimbabweans that the UK government wanted to remove from the country. The woman told the Guardian that the official had a file on her, which contained her photograph and biographical details. Her relatives are politicians with the opposition party, the Movement for Democratic Change (MDC), and one was recently arrested. "I am so anxious and I am so petrified," she said. "If the Home Office now is sharing my details with the Zimbabweans, then they are selling my life to them." The Home Office said "routine re-documentation interviews" often take place to establish the identity of an individual so that travel documentation can be issued. A spokesperson said: "Where a decision has been made that a person does not require international protection removal is only enforced when we and the courts conclude that it is safe to do so, with a safe route of return." After Mugabe was ousted, his former close aide Emmerson Mnangagwa from the same Zanu-PF party came to power. Despite hopes that his government would bring political reform, human rights activists have condemned arbitrary arrests, abductions and beatings committed by the police and military. Under Mugabe, the Zimbabwean authorities had refused to cooperate with attempts by the UK to return refused asylum seekers, declining to issue travel documents to those being asked to return to Zimbabwe against their will. This left thousands of people in legal limbo, with no legal status in the UK, so unable to work, but also unable to be returned to Zimbabwe. But Zimbabwean media reported in February 2018 that, following a meeting with the then British ambassador to Zimbabwe, Catriona Laing, the country's new vice-president, Kembo Mohadi, said: "Zimbabwe has no problems receiving its nationals back, but would want them vetted to ensure they are genuine Zimbabweans before taking them back." The asylum seeker charity, Assist Sheffield, said it was extremely worried about Victor Mujakachi's safety if he were to be forcibly returned to Zimbabwe. It said he was an invaluable volunteer in many charities in the area, including its emergency night shelter, and had won awards for his charity work. "Victor is an outspoken critic of successive Zimbabwean governments and has expressed worries for his safety, should he be returned, especially given the recent brutal crackdown on anti-government protesters in the country," the organisation said in a statement. In a recent petition to the Home Office, UK-based members of the the MDC, called on the government to give amnesty to all Zimbabweans who had been in the UK more than 10 years. "Most Zimbabweans in the UK are now settled, and they now have private and family life in the UK," the petition said. "The issue of the Windrush generation shows that the Home Office has sometimes got it wrong, but the secretary of state has got the power to take corrective action." Alice Muzira, a lawyer at Thompson and Co Solicitors, said the UK government should urgently review its position while there were still human rights violations in Zimbabwe. "Removals should be suspended and the situation in relation to safety of returns to Zimbabwe closely monitored," she said. Andrew Nyamayaro, principal solicitor at Tann Law Solicitors, said: "Civilians are being tortured by members of the armed forces and the ruling party. Enforcing removals of Zimbabweans from the UK at this juncture is tantamount to sending someone to a death chamber." Nyamayaro's colleague, Rumbi Bvunzawabaya, said her clients had been badly affected by the latest round of interviews. "We have clients who are suicidal, who have been sectioned, since the news [about the interviews] came out. People are afraid," she said. Diane Abbott, Labour's shadow home secretary, said: "The government's resumption of deportations to Zimbabwe is in line with their hostile environment policy. The Home Office appear to have little regard for potential human rights abuses and are deporting people who may be at risk. This should not be happening in any case where serious human rights are under threat."